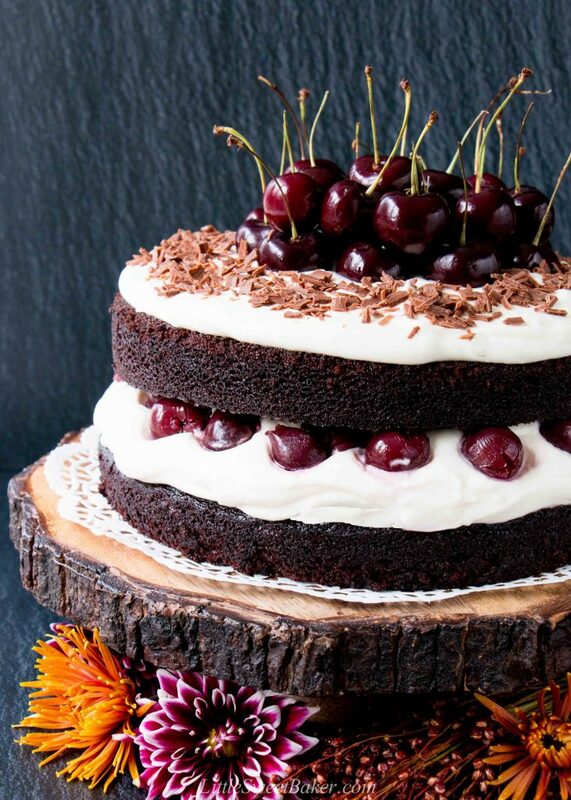 This decadent homemade Black Forest cake is as easy as can be to make. 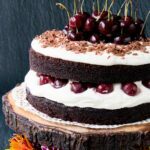 This classic dessert is made up of two layers of moist chocolate cake surrounded by whipped cream and juicy black cherries. 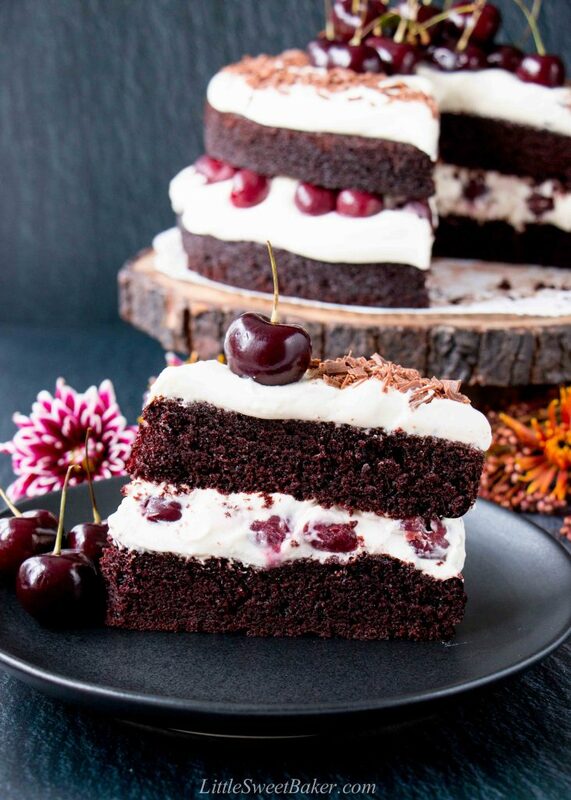 Black Forest cake is one of my all-time favorite desserts. 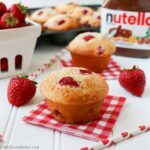 I usually take the shortcut route and use a cake-mix, but this time I wanted to make it from scratch yet still make it as easy as possible to prepare and assemble. So I kept things pretty simple with just two layers of cake instead of three or four. I didn’t bother with frosting the whole cake or any fancy piping. 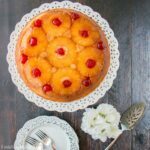 I used canned cherries in the filling because there is no pitting or cooking required, and they’re available all year round. Now I do love decorating with fresh cherries when they are available. However cherry season is very short here in Canada. This recipe starts with an oil-based chocolate cake, so there is no creaming of the butter and sugar together using an electric mixer. There is no alternating between wet and dry ingredients. You simply whisk all the ingredients together by hand. I added some cream cheese to the whipped cream to make it sturdier and more stable. It also adds a bit of tang to balance the richness of the whipping cream. 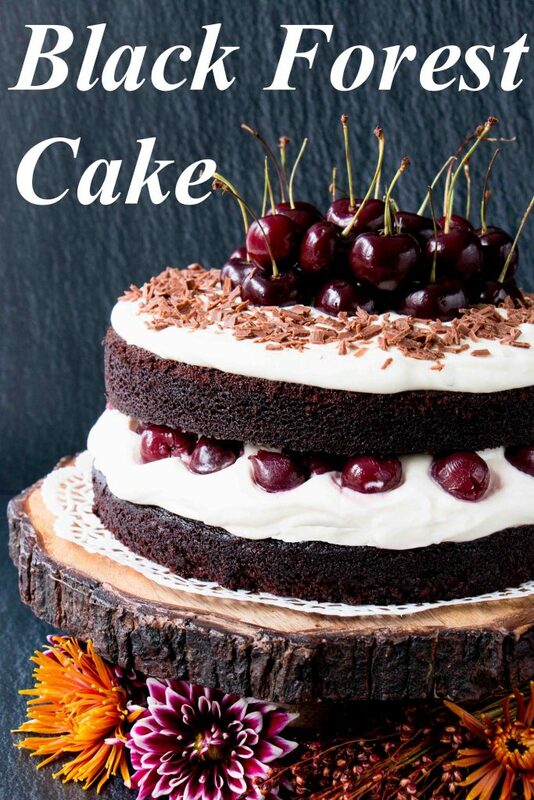 There are so many components in this cake that make it absolutely delectable. 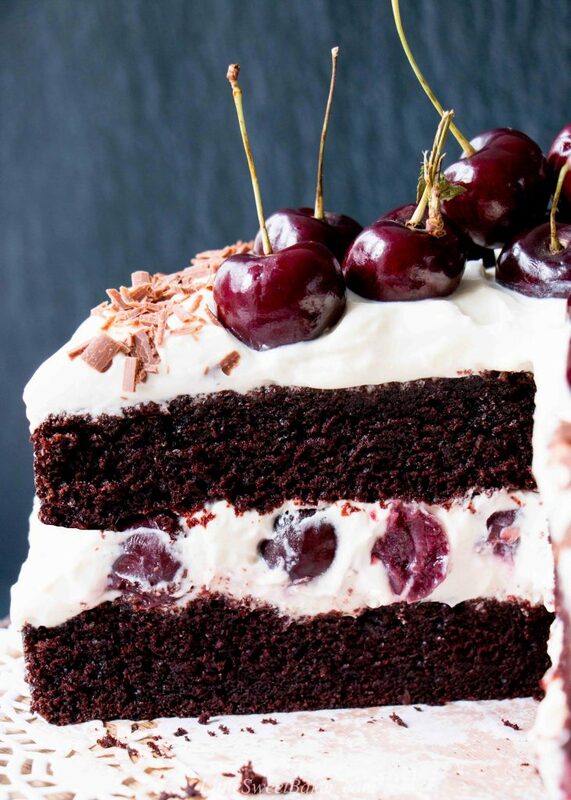 The cake is supremely moist, rich and chocolaty. 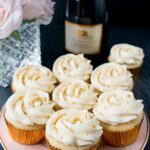 The whipped cream is smooth and light in texture with a little bit of tang from the cream cheese to brighten up the taste. The cherries are soft, juicy and fruity. All together it makes for a perfect harmony of flavors. Preheat oven to 350F and grease two 9″ round cake pans with non-stick baking spray. Divide the batter into the prepared baking pans and bake for 30-32 minutes or until a toothpick inserted into the center comes out clean. Let cool completely before assembling and trim cake domes if needed. Using an electric mixer, blend the cream cheese, sugar and vanilla until smooth. Slowly add half the whipping cream and whip for a minute or so until it just starts to thicken. Add the rest of the whipping cream and continue to whip until stiff peaks form. Spread about one quarter of the whipped cream on one of the cakes. Spoon the cherries on top and spread another quarter of the whipped cream on top of the cherries. Layer the second cake on and top with the remaining whipped cream. Decorate as desired. Chilling the assembled cake for 30 minutes will make it easier to slice and serve. Leftover cake can be stored in the fridge covered up for 2-3 days. Recipe adapted from my German Chocolate Cake and my Easy Black Forest Cake.